Friedhelm Hillebrand was born in 1940 in Warstein, Germany. Friedhelm Hillebrand known as the inventor of Text Messaging or SMS (Short Message Service). Friedhelm Hillebrand earned a Master of Science degree in Communications Technology from the Technical University of Aachen in 1968. Then he joined the Research Institute of AEG Telefunken in Ulm and works on the concept of electronic switching systems. He joined Deutsche Bundespost, a national telecommunications company, in 1970. From 1976, he was responsible for developing the concept of X.25 packet switching for DATEX-P network from the first concept to the end of its first year in 1981. He then became project manager ppointed for next-generation mobile communication system in the spring of 1983. Friedhelm Hillebrand participate in plenary GSM from November 1984 onwards. He contributed in the field of telecommunications for design services, international roaming and working methods of management. In 1987-1988 he became the founding Chairman of the GSM data group (IDEG, then called WP4). 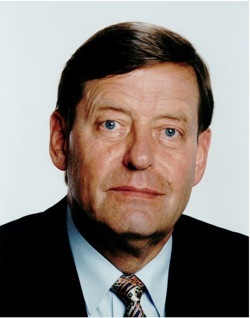 Since mid-1987, Friedhelm Hillebrand is responsible for the contribution of the Deutsche Bundespost GSM, and working with GSM operators D1 and implementation of GSM networks in Germany. He is responsible for the D1 and network systems and support IT systems until the end of the first year in 1992. In 1984 before the SMS concept was first developed by Friedhelm Hillebrand and research collaboration cellular France Bernard Ghillebaert. The first SMS sent by Neil Papworth to Richard Jarvis in 1992, an employee of Vodafone. Because the phone when it is not equipped with a keyboard, typing messages on a PC Papworth. The sound of the first SMS message sent Papworth as it is "Merry Christmas". GSM phones earlier versions can not be used to send SMS. At that time only used for sending SMS alerts to mobile users of the service. In 1993, Nokia became the first product with the ability to make the phone send SMS. Although SMS is not directly responded positively by users of HP, but now over time the concept of SMS usage is now growing very rapidly until now, even beating the use of the phone. When first developed, the use of SMS has not been popular in the community as it is now. At that time, the average GSM phone users only send 0.4 SMS per month. This occurs because of the facility to send SMS while it was still very limited. But in its development, SMS became a very important part in human life. In a surprise development of SMS usage in 2000. At that time, every GSM cell phone users send 35 SMS per month. In 2006, the benefits achieved by all GSM operators around the world from SMS business reached 60 billion U.S. dollars. Average price of sending SMS in the world U.S. $ 0.11. So many who call Friedhelm Hillebrand as the "Father of SMS" or "father of text messaging or SMS". on a night in 1985, Hillebrand sat in his home in Bonn while continuing to ramble by making a number of statements and questions. At that time, the interpreter ketiknya asked to type every word Hillebrand. Done rambling, Hillebrand then count the letters, numbers, pause letters, punctuation, and spaces on each page there. Apparently, when it was discovered Hillebrand, almost every babble that consists of one or two lines consisting of nearly 160 characters. "It's very appropriate," said Hillebrand, who was then aged 45 years. At that time, it is developing a telecommunications expert to create a standardized technology that allows mobile phones to send and deliver written messages. The idea of ​​160 characters then triggered by Hillebrand with his partner, Bernard Ghillebaert of France Telecom, the GSM development group meeting in 1985. The idea of ​​the two men became increasingly developed and became the standard number of characters in an SMS. Before starting the character count, Hillebrand himself had argued with one of his friends about the benefits of text messaging in communication. "My friend calls it can not be used in bulk, but I'm optimistic," said Hillebrand. Optimism Hillebrand proved. Perhaps, this time via SMS text messaging is used more than the telephone. Hillebrand had never thought that his findings are now widely used all over the world young people to decide his girlfriend. However, Hillebrand did not gain financially from the work they create. Since there is no royalty in the creation of sms. If in each SMS Hillbrand earn money, he thought, "That would be fun," said Hillebrand. However, 160 characters were created Hillebrand is then increasingly popular. Its popularity became more so thanks to a young man named Jack Dorsey created social network called Twitter. Twitter then adapt the work Hillebrand's to 140 characters for each tweet. Jack Dorsey seems to understand the 'services' Hillebrand. In a tweet, Jack Dorsey posted a link on the history of SMS which is a service of the Hillebrand. In a tweet is a link about the history of SMS's, Dorsey admitted influence the creation Hillebrand limitation of 140 characters on Twitter. "Why text messages are limited to 160 characters (which influenced Twitter's 140)," Dorsey wrote in his tweet.